Thanks to acquisitions of leading European companies in the industry, the GEWISS Group came about in 1997, comprising twelve trading and industrial companies that are active on main international markets. 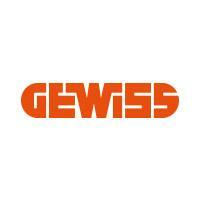 The Parent Company GEWISS Spa has its registered offices in Cenate Sotto (Bergamo) and production facilities at Cenate Sotto (Bergamo), Cenate Sopra (Bergamo) and Castel San Giovanni (Piacenza). Since early 2000, its new logistics/technological hub has also been operative, based in Calcinate (Bergamo), a strategic location which can serve the entire central European area within a 1,000 Km radius. The Group's production facilities abroad are located in Germany, France and Portugal.